Bet you didn’t see this one coming, eh PlayStation Assassins? It’s with a great deal of pleasure and a substantial amount of pride that we announce Assassin’s Creed III Liberation for PS Vita! During 1765, Aveline stands directly in the path of Spanish forces seeking to overrun and take Louisiana while the rest of the coastal colonies are occupied with the American Revolution. 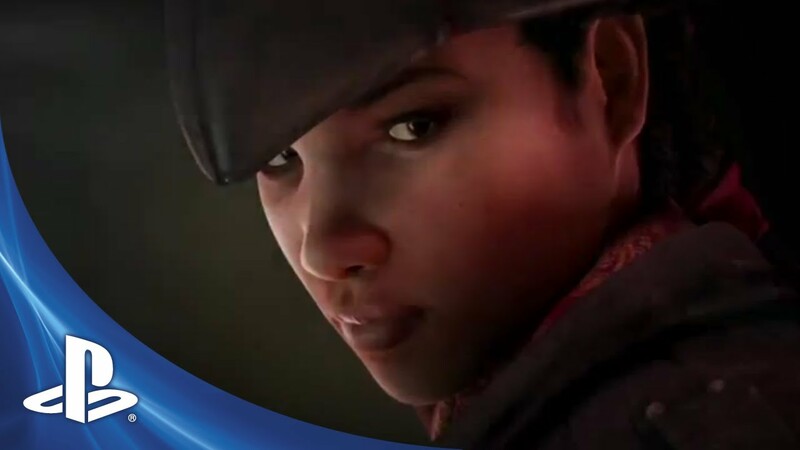 Aveline is a uniquely effective assassin, employing tactics from her mixed French and African lineage and using weapons like the machete, poison-dart blowpipe and dueling pistols. Illustrating greater depth and dimension in a period of history that would ultimately help shape the world, Assassin’s Creed III Liberation expands the Assassin’s Creed universe to give a broader portrait of this pivotal era. I saw it coming because you put it in GameInformer before the conference. Making a vita package was a good idea, because I’ll probably buy a Vita for this. LOVE IT! Finally a female lead. And mixed heritage also! I love the look of the female lead in Liberations. And might I add finally a white PS VITA. Loving it! Nice deal with the white Vita as well but no thanks I prefer my black one to match my PS3. ;) Definitively a must buy for me. Ubisoft, thanks for having the only worthwhile announcement for Vita at the Sony conference. This game looks awesome and I’ll definitely pick it up. Good show, Ubisoft! I am also very excited to see a female AC lead. Great job Sony, a total of 3 games announced for the platform that’s 6 months old, with 95% of the conference devoted to a platform in its sixth year. I’m sure those Vita’s will just fly off the shelves! – Someone who bought on day 1 and didn’t expect something this appallingly poor. This announcement was a surprise to me. Will definitely pick this up, along with the PS3 AC3 of course. I buy every AC game and I love them, but having the first female Assassin is a big plus for me. @6: Well, this one leaked… it’s not really their fault on that one. And everyone just assumed we’d get Battle Royale given how iffy the graphics for it look on PS3. And we were right. I was a bit disappointed that we didn’t really get much, especially considering the fact I had gone in assuming we’d be a huge focus. I mean, it came out in February. I thought they’d do a big push. Glad we’re done with E3 without a price drop though, so hopefully people will stop expecting one to happen like the 3DS. this game will rock. question will it have its own stroyline seperate from AC3? hmmm will some ideas from bloodlines, special weapons unlocks be there? Or can we cross platform on different side mission? Can’t wait!!! This game looks cool, but where are all the other Vita games?! I mean… is… is this and COD it? knew, that COD is in development plus 5 seconds of AC vita. I liked and all, but seriously? If COD is about to launch in a few months, why not even a screenshot? I LOVE IT! But one COMPLAIN!! PUT HERE A HOODIE!!! SERIOUSLY LAME AS.S HAT! Game looks amazing for the PS Vita and I hope there are more ways that it ties into Assassin’s Creed 3! Ubisoft is showing the Vita some love, unlike Square-Enix. Square-Enix has done nothing for the Vita, at least port us Final Fantasy Type-0. If the game actually winds up looking like that, this is going to be a strong contender for vita game of the year. My money’s still on Sly or LBP, though. But, these are some very strong games for a first year on a system. I really really want the white PS vita bundle :D (I just don’t want to buy it and then you guy’s will announce a new colour etc. Always my luck with Nintendo) but how much is it? As a day one buyer, I feel very disappointed with your Vita conference. I was expecting more games and some partnerships with Square-Enix and Konami but you decided to give more coverage to the Playstation Move. I think Vita is Sony’s best hardware since PS1, it just needs some system seller titles and Sony getting with the times and adapting better to a new audience. Can we trade in our black ps vita for a white one. Like swap it out or get a white one for a really low price.Also if we use our warranty can we get a white vita instead of getting another black one. I don’t want to get Liberation anymore. I don’t want to play as a female. I want to play as the guy from the regular Assassin’s Creed III. ur a moron DanielDreiberg. Im excited because its the first female protagonist in assassin’s creed history. sony i am a fan but you better polish your games. thank god i play the demo of resitance before i bought it very dissapointing. where are the games sony? i play games that are like 7$ nova and modern combat have more feature than burning skies. modern combat has 12 players, 7modes, and 6maps. your game has only 3 maps, 8 players and 6 maps for 7$. all of those people who are saying vita is a portable system what do you expect? please shut up. my iphone can handle nova and it is more portable than vita . iphone game nova has all the thing modern combat has except 2 more things, vechiles and ragdoll effects. i also notice how greedy you guys have become. 10$ just for a online pass that was suppose to be in the game? and how could you let nilhistic make burning skies when they made that awful playstation heroes. before people say anything, i paid money for this 300$ for vita, plus 100$ for games and paid for the outrageously priced memory stick, so i can say whatever i want. and sony don’t get me wrong, i just want you be the company used to be back in the sixth generation gaming where you cared ABOUT GAMES AND CUSTOMERS FIRST, MONEY SECOND. anyone who doesn’t agree is a idiot. p.s thanks for the new assassin creed sony. I have a question! Will the bundle come out before the game itself, or will the game and bundle be available at the same time? I ask this because I already have my VITA (got it day 1), and I wanted to know when it’ll be available. If any of you guys at Sony could help me out, I’d appreciate it! Oh, and will Connor make an appearance in ACIIIL? GREAT IDEA WITH THE WHITE PS VITA IT LOOKS AWESOME!!! OH YEA AND MAKE MORE SHOOTING GAMES FOR VITA!!!! !